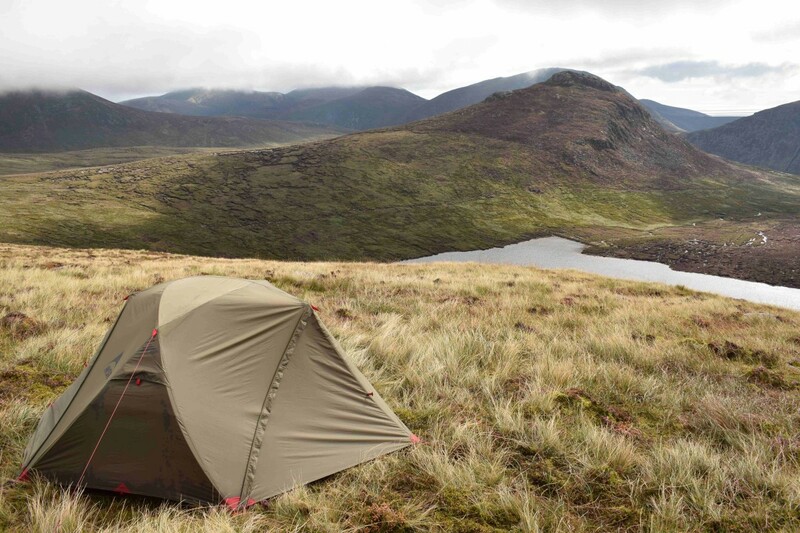 Last year I was in the market for a new tent to replace my trusty old Vango Banshee 200. 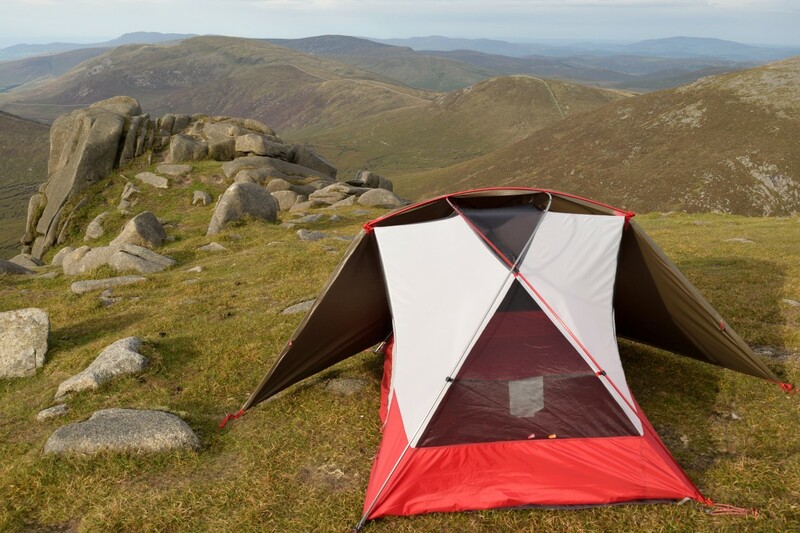 The Banshee is a great tent but I’ve always felt cramped inside, I wanted something with a bit more useable room and head height, as trying to sit up in it or getting changed can be awkward. Then I came across the MSR Elixir 2 and thought it looked good and ticked all the boxes for space. The people at MSR seem to be pushing the boundaries and coming up with innovative designs with every product they produce. This shows in how the poles are connected at two places with a swivel type connector. This is something I’ve never seen before so I was interested to see how it would perform. The weight isn’t going to break your back at 2.6KG and the price isn’t going to break the bank at a reasonable £225. The biggest negative for me was the packed size but for that extra room I was willing to compromise so I took the plunge, made the purchase and I’m glad I did. Continue reading for a more in-depth break down. Weight: 2.1KG (as reported by retailer) I have it weighing 2.6KG on my luggage scales. 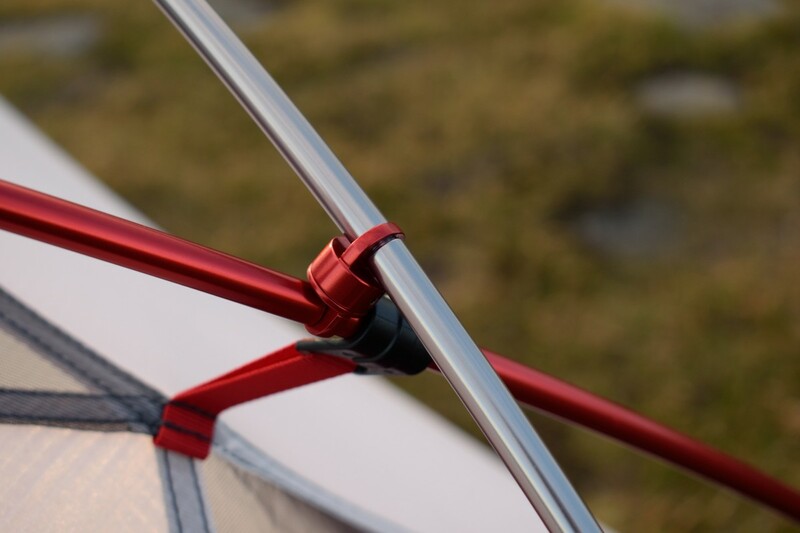 The Elixir can be setup with just the ground sheet and fly for fast and light trips. Or as a whole with the inner. You can also just pitch the inner on its own if you’re somewhere hot/dry and need protection from insects. The Elixir comes with 10 pegs, 4 guy lines and a ground sheet. Fly sheet pulled back for more ventilation. The Elixir is an inner pitch first tent, I like this style of setup as I think it gives the tent good wind stability because the wind can flow over the material easily without catching on any raised pole sleeves. The downside is if you’re putting the tent up in a downpour the inside can get wet. Pitching the Elixir is fairly straight forward once you get the hang of it. The double pole is colour coded and each pole fits into its corresponding colour coded corner. Double Pole Swivel Design – This helps Maximise the internal space. 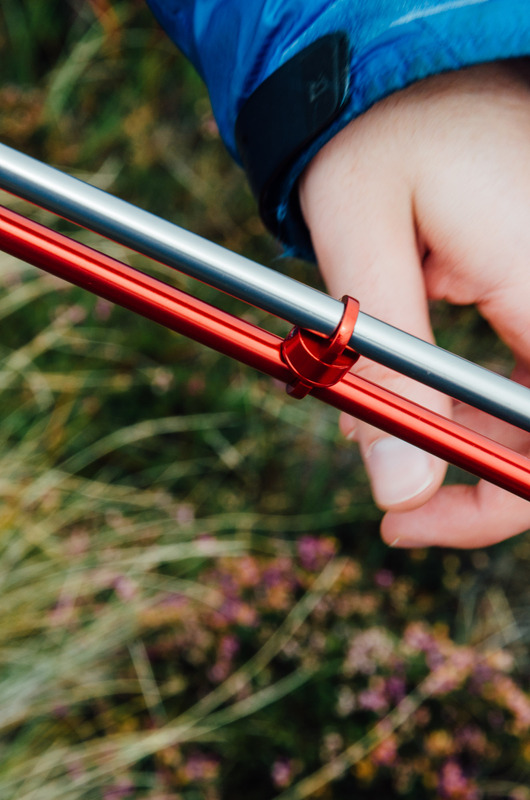 The double pole is fixed together at two places by a swivel, this helps give the tent a roomy interior. I have concerns over the swivel breaking and have noticed it has slightly cut into the poles that could cause a potential weakness over time. 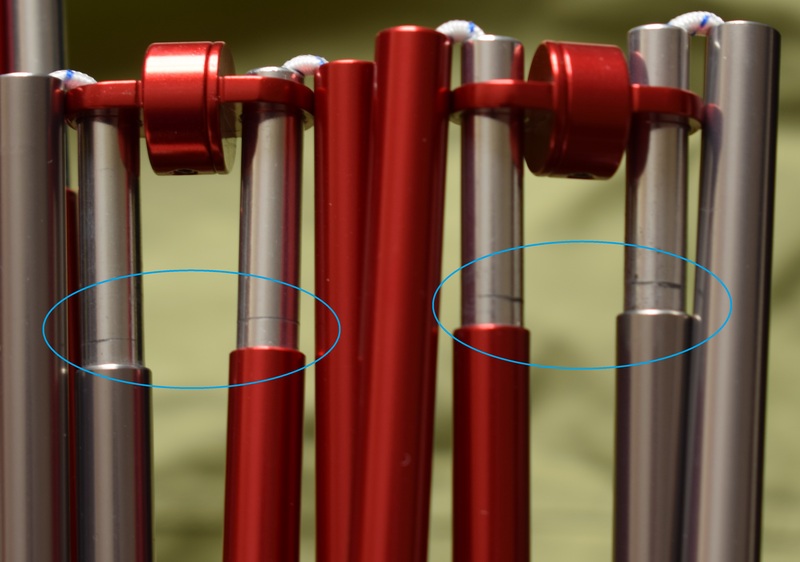 Circled in blue shows where the swivel has cut into the poles! 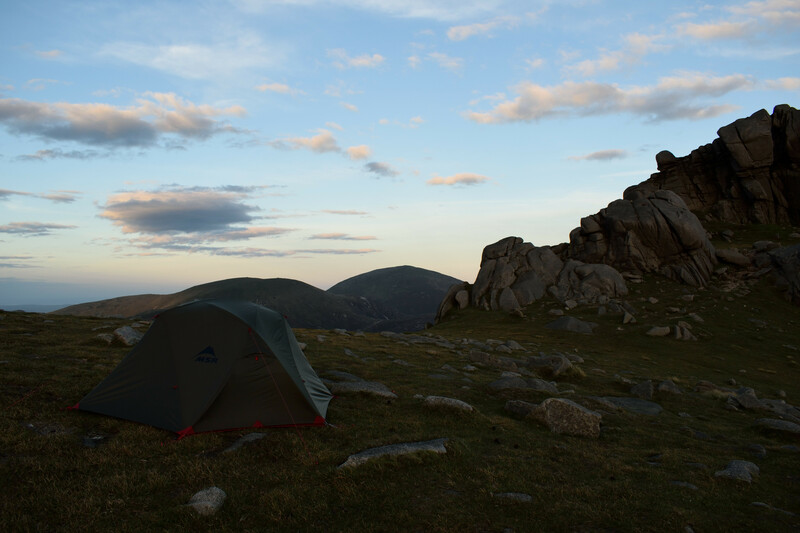 That being said, I’ve had the tent out a few times in very windy conditions and the Elixir as shrugged the beating off without any bother. The inner is then clipped to the poles and a second short pole is fitted over the top maximising the head space. The Fly sheet is then fitted over the top, fitted to the short pole with eyelets and clipped into the corners. Each clip has a tensioner that can be pulled to tighten the fly over the poles which stops the fly from flapping about. Next the two doors are pegged out these also have the tensioners. If it’s windy or you’re expecting bad weather there are 4 guy lines that can be pegged out. The interior of the Elixir doesn’t disappoint, it’s the roomiest 2 man tent I’ve used. There’s easily plenty of room for one person and all their gear or shared with gear stored in the porches. The sides are almost vertical and the headroom is great. Putting the short pole across the top lifts the inner up for loads of head room and adds to the overall stability. Being 6’2” I can sit up or kneel without any problems which is great when just chilling or packing up my gear. Spud and I, both being bigger than normal, used the Elixir during Mourne Mountain Marathon last year and found it to be cosy without being uncomfortable. The inner material is nylon with mesh panels for plenty of ventilation. There’s pockets at each end for stowing light weight items and attachment points for an overhead gear loft (Optional Extra). Lying down I just about fit in without touching the ends and if I’m by myself I usually lie diagonally. The Elixir 2 is a nice shape and looks great, I got the green one and find this blends in well with the surroundings. The Fly sheet fabric is 68D ripstop polyester with PU and silicone coated, Hydrostatic head 1,500mm, I’ve been out in the rain a few times now and haven’t had any leaks. 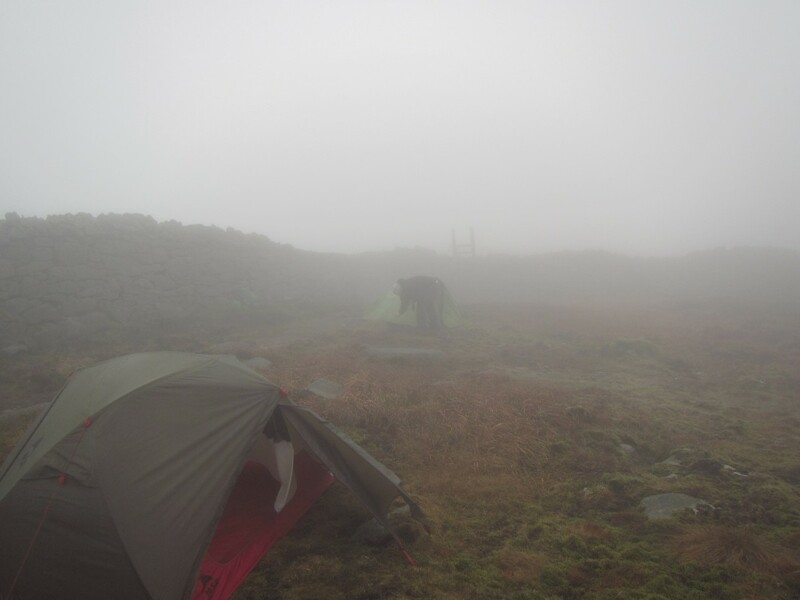 Misty morning on Eagle Mountain in the Mournes. The two doors are easy to get in and out of and point in the same direction, I would have preferred it if the doors opened in opposite directions because I think this would give more options cooking when it’s windy. The doors have a “StayDry” rain gutter that stops the rain from running into the tent, I didn’t notice any rain running into the tent when I’ve been using it, so I guess this works. Over looking Lough Shannagh with Doan in the distance. This was after a wet and wild night but the Elixir handled it without a problem. With the inner being pitched first, it’s not overly obvious which way the doors will open and sometimes I have to turn the tent round because I haven’t realised I pitched the doors facing away from the view. If the doors opened in opposite directions this wouldn’t be a problem. 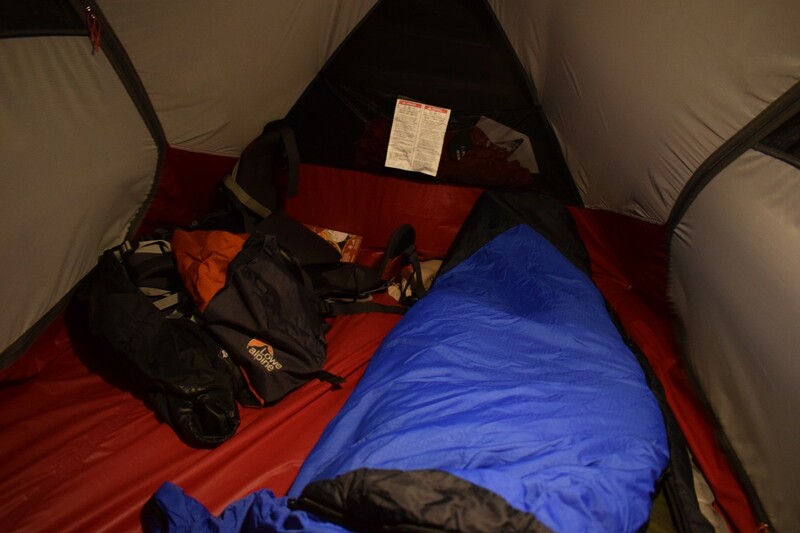 The floor is bathtub style and the material is 70D taffeta nylon with a Hydrostatic head: 3,000mm, I’ve always used the tent with the ground sheet as well, mainly for added protection when using my Thermarest X-therm sleeping mat. View from the Summit of Slieve Bearnagh. So far I’m really happy with the Elixir 2, it’s a very spacious 1 man tent and a true 2 man tent. The first setup can be a bit tricky but once you get the hang of it, it’s easy. 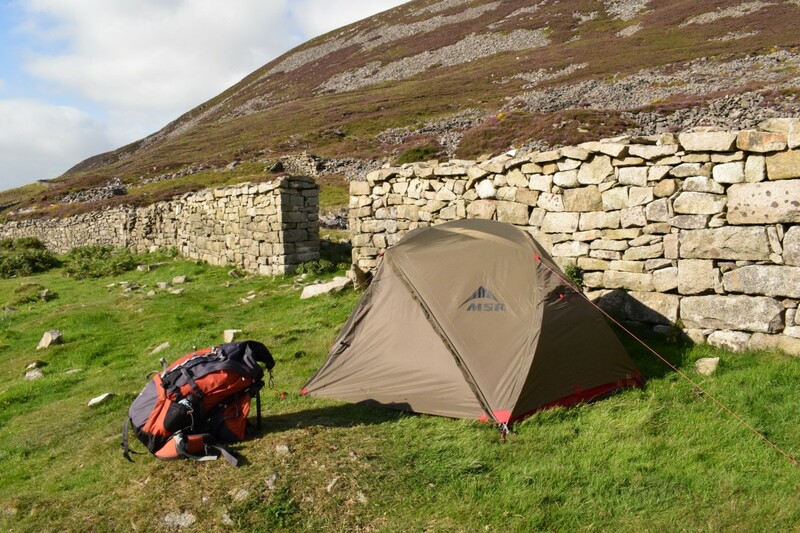 Although I have concerns about the swivel breaking I think it would take very strong winds for it to happen and I have always found the tent to be very study in windy conditions. The price is reasonable for the excellent quality you expect when buying MSR products. Overall it’s a great tent and a joy to use. If you like the look of this gear, please consider purchasing from Amazon via the link below. We receive a small referral fee at no cost to you if you do. Please also be assured that this in no way affects the content of our reviews, you’ll see these purchase links in the products we hated too, just in case you disagree with us! Just came across your page and this is the first review I've read. You now have me swaying towards this as opposed to the Nordisk Halland 2 UL I was considering. One question, is it possible to pitch the inner and outer together? Sadly not. But Eamonn has never found the inner to get hugely wet in the time it takes to put it up. Once you get a pole into it you can kinda drape the outer over as you work at it to minimise the wetting. I had raised the idea of bringing a little microfiber towel to dry the inner off, but Eamonn has never needed it regardless of conditions. I found it's possible to pitch the outer sheet and the footprint together first, then shelter inside while you attach the inner layer. You have to step out to do the last couple of attachments, but it's not too tricky once figured out, and saves the inner getting soaked. Only pitched it four times so far, so can't comment on durability, but early impression is it's a great all round tent. Hope this helps the decision if you've not already purchased. I see what you mean about the Hydrostatic head, the Banshees is much higher but I wouldn't let that put you off. My Elixir as seen its fair share of the rain and so far I haven’t had any problems with it getting in. The rain either runs off or beads up on the fly. I’ve also just seen the Elixir 2 has been updated for 2018 with some additional features, like built-in gear lofts, glow in the dark zippers and they have changed the design of the doors, which looks like it will increase the porch space. 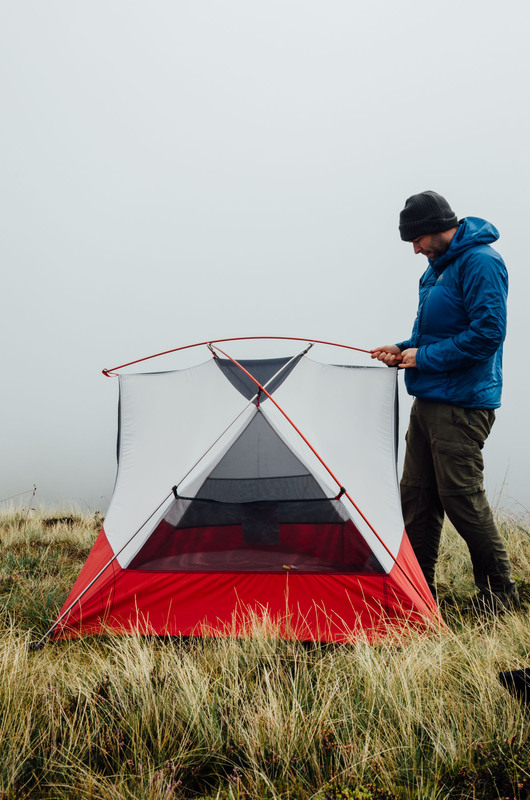 How much does the flysheet sag when it gets wet and how does that affect the structure of the tent? In my MSR Holler (also a PA fly) that effect is quite annoying in wet conditions. 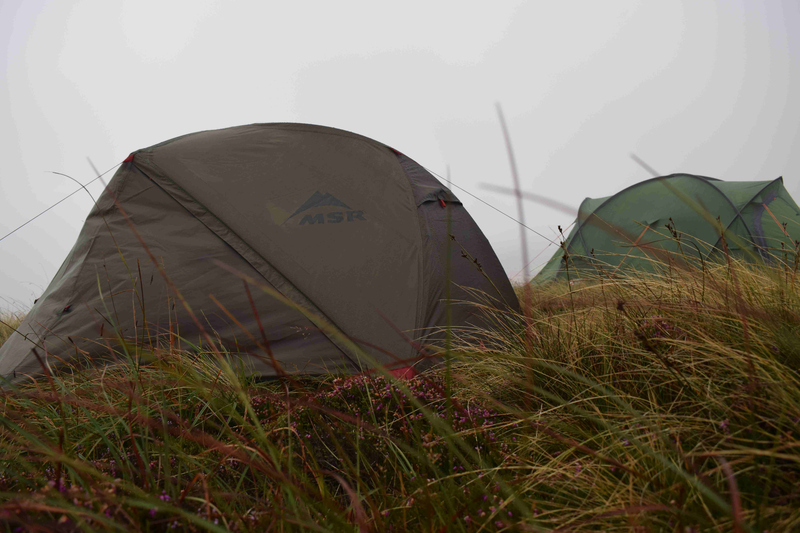 The Holler is a long tent though, with over 5 meters of flysheet length. Hi Hans, the only time I've had any sagging is around the porch/door area if I didn't have a flat pitch. Over the main area of the tent there is no sagging thanks to the tensioner straps at the 4 corners. Great review, thanks for sharing. I was just wondering how youve been getting on with the Elixir sonce writing this review? Would you still recommend it? Am in a similar quandry to you as I'm thinking of swapping out my Banshee 200! Still enjoying the Enjoying the Elixer 2, Have used it quite a bit and the extra space it gives you over the Banshee makes it a lot more comfortable particularly on multi-day camps. I do feel the Banshee would be better in more storm conditions though that the elixer. Hi Gavin, yeah I'm still loving the Elixir 2. 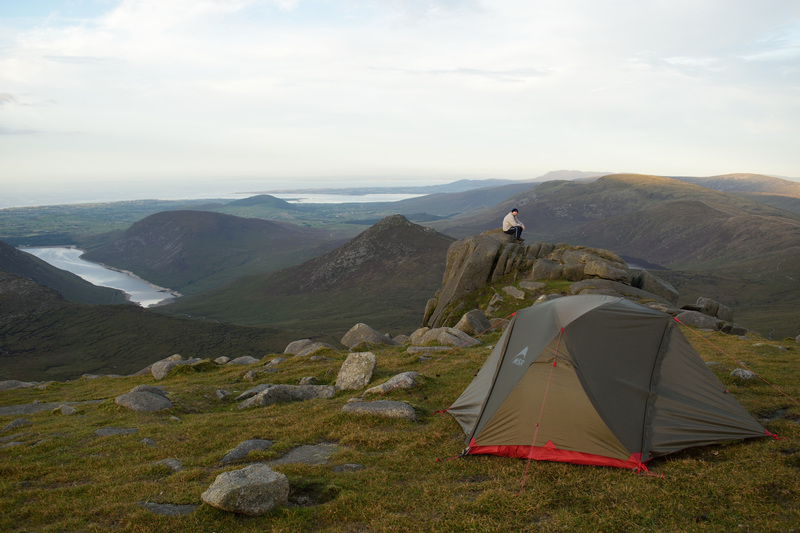 The Banshee is a great wee tent bit I don't think I could go back to using one now that I have the Elixir. The pack size and weight of the Elixir 2 is slightly more than the Banshee 2 but then you get loads of extra room in the Elixir. Hi. Nice review. Could you please tell the dimensions of the footprint? I'm thinking about buying another footprint, cutting two triangles from it and adding them to the original footprint to cover the floor area of vestibules in order to avoid wetting of backpacks while storing them there. Is it 213 cm? Hi Ross, that sounds like a great idea! I'd be interested in seeing the modification, could you send us in a few photo's of the finshed article? The dimensions are 200cm x 118cm. Thanks for the dimensions. Sure, I'll send them after I finish it. Well. It turned out to be not so difficult. I purchased the footprint for Sierra Designs Summer Moon 3. It has practically the same length (1-2 cm shorter), so you will not need to trim the length. And it's cheaper than Hubba-Hubba's footprint. The material looks more sturdy and has thicker PU coating than the original Elixir's footprint. What I did is basically marked 2 dots on donor footpring. About 70 cm from the long sides towards the center of the donor footprint. Then, I took it to the tailor and asked to draw and cut out two triangles from the corners to these two dots. And to sew these two triangles to the long sides of MSR footprint. I also asked the tailor to add overmeasure and bend the fabric along the lines of the cuts for edge protection. Asked the tailor to keep in mind the PU coating should be on the same side of the finished product. Also I asked to remove four cord loops from the corners of the donor footprint and to sew two of them to the vertices of the triangles. Tailor took about 15 US dollars for the job (Ukraine, prices are low, in Europe and USA it might be more expensive). The rest of the material can be used for patches or to make a copy of MSR's tent compression bag after I wear out the original one. Would you say that the Elixir is big enough for two guys and two packs ? Looks quite small inside. Absolutely, i think it's the truest two man I've used. There's loads of room inside and you also have a door and a porch on each side, so no need to climb over the top of each other when entering or exiting the tent. The porch is big enough to store a bag and cook in.